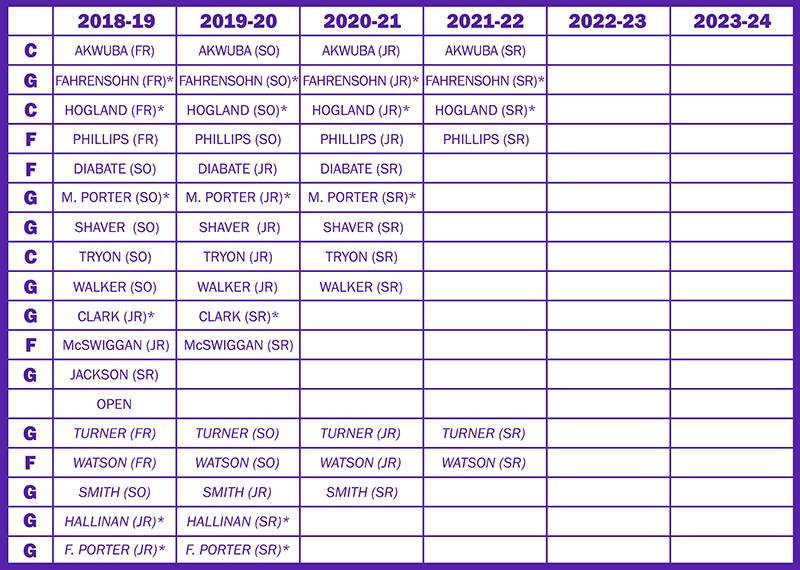 Here's the current roster outlook, which assumes a 6th year for Clark. Players who have used their red-shirt year are indicated with an asterisk. Walk-ons are italicized. I will update it as we get new commits! Considering the number of new guys for next year, Porter has done a great job of keeping class years relatively balanced. How about, for the next update, you add the nominal position for each player, so we can also see the balance by position.